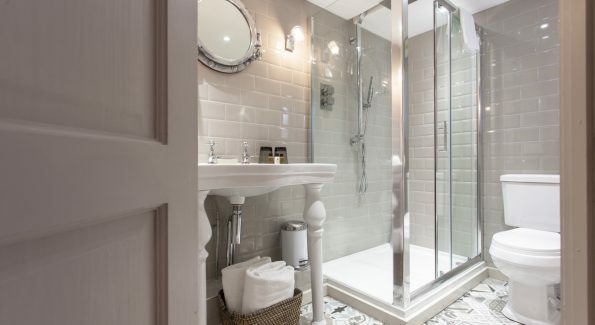 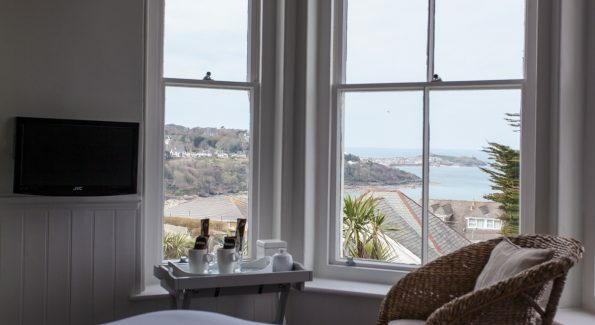 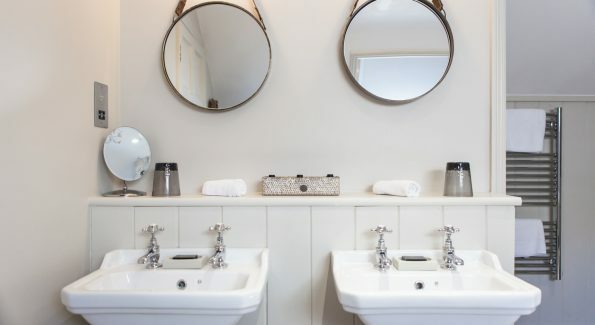 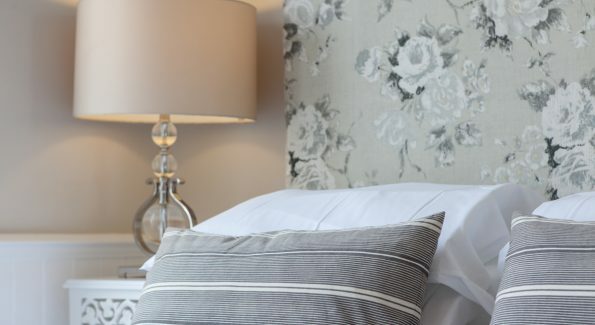 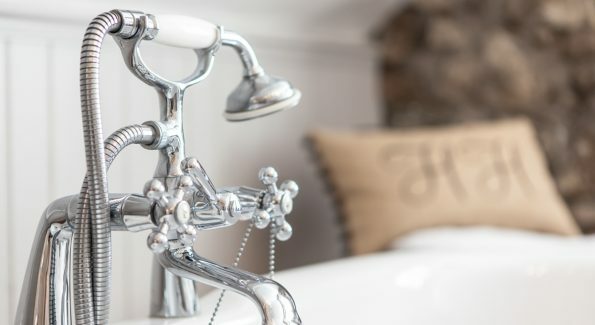 Set within a period three-storey Edwardian house with high ceilings and beautiful architecture, Headland House has been sympathetically and stylishly restored with both period and contemporary features. 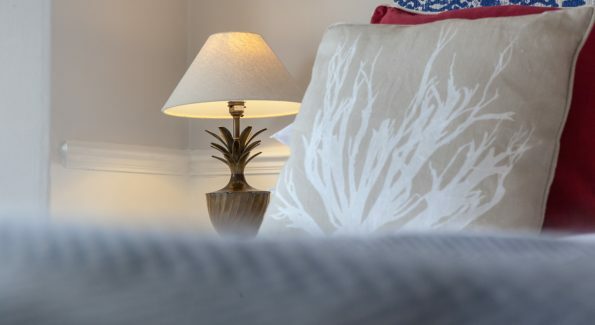 We have parking for each of our nine luxury bedrooms. 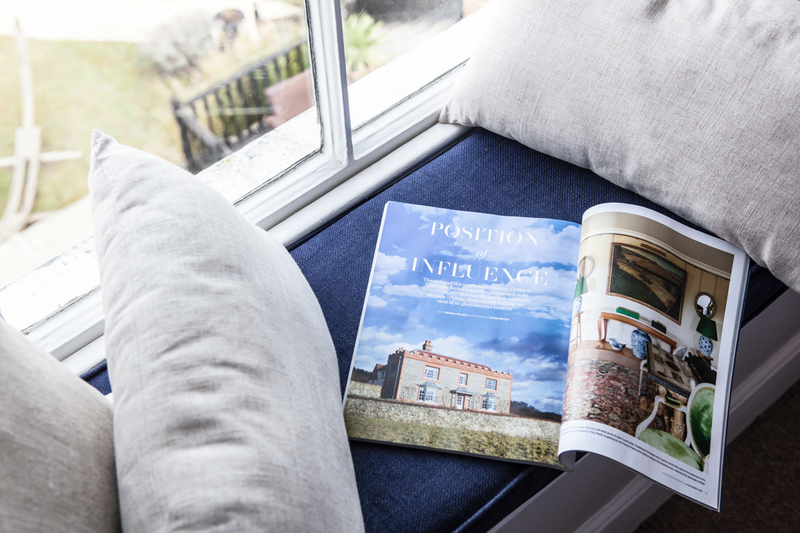 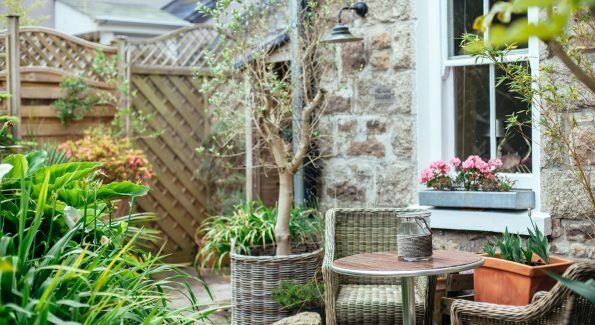 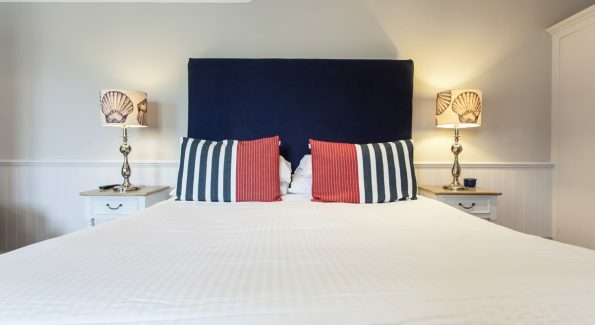 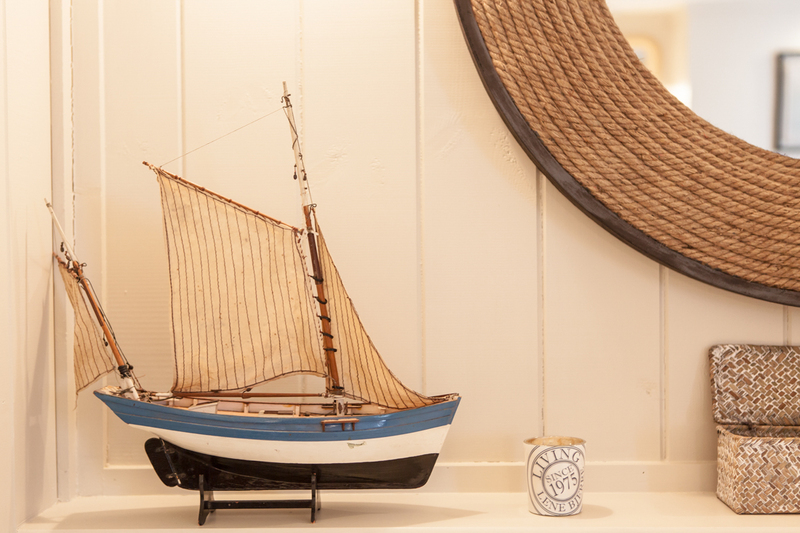 Superior Spacious Garden View room, Cape Cornwall is perfect for a special getaway, decorated in calming nautical tones, colonial shuttered windows with views over the courtyard garden. 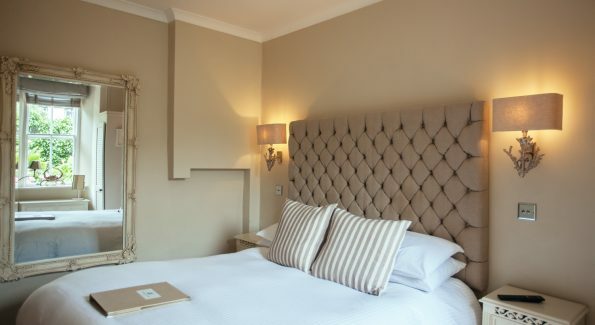 Cosy King bed room with its own private garden complete with outdoor table and chairs. 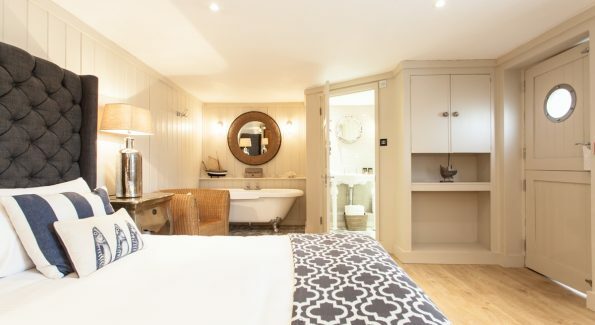 Heligan is one of our compact "cosy" king bed rooms, with en-suite double end slipper bath and overhead rain shower. 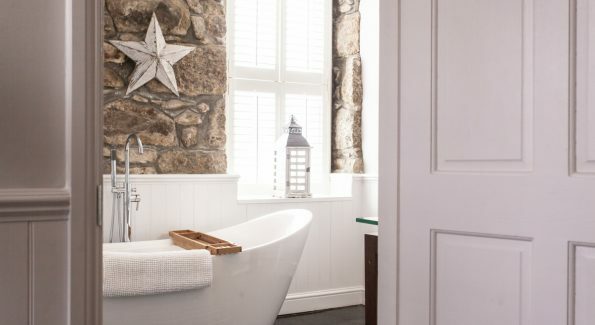 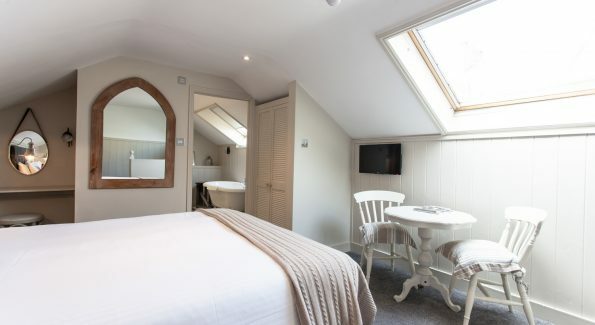 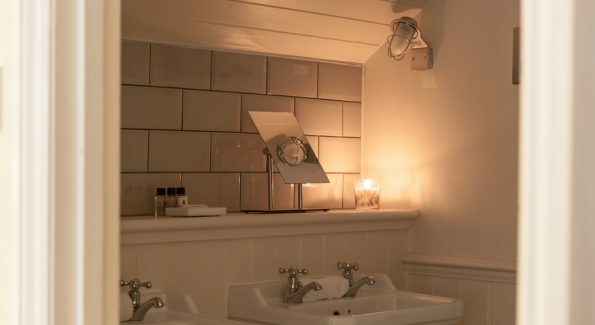 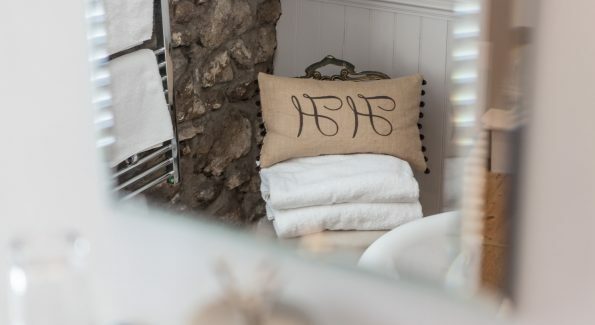 Mousehole is our little secret, compact cosy room like its namesake is small and beautifully formed. 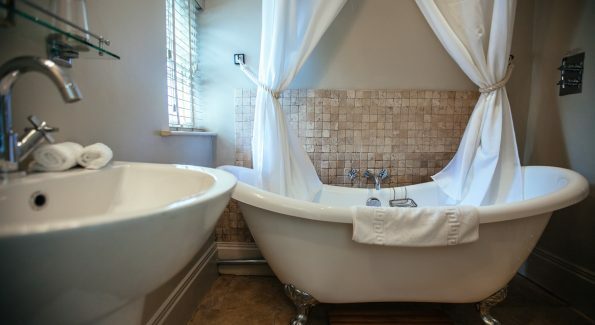 It has a true feeling of seclusion and privacy, colonial shuttered windows, large ensuite bathroom with luxurious double-end roll top bath, garden views. 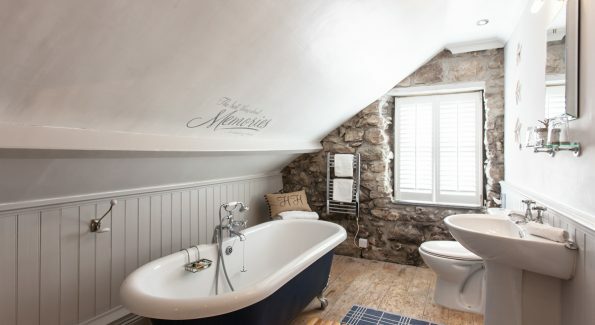 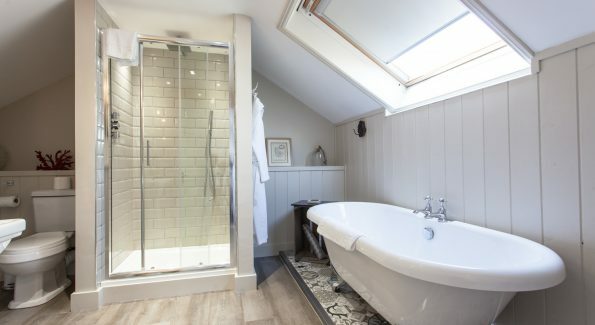 Situated within the courtyard garden, Net Loft is a beautiful spacious room with private porch and hallway, stairs lead up to a light, airy bedroom with a king size bed and skylight, a spacious ensuite bathroom with his and hers sinks, free standing bath and separate monsoon shower. 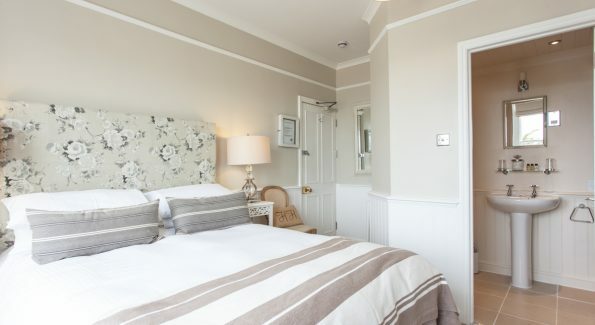 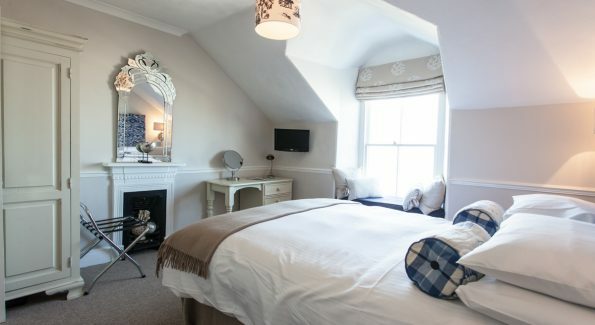 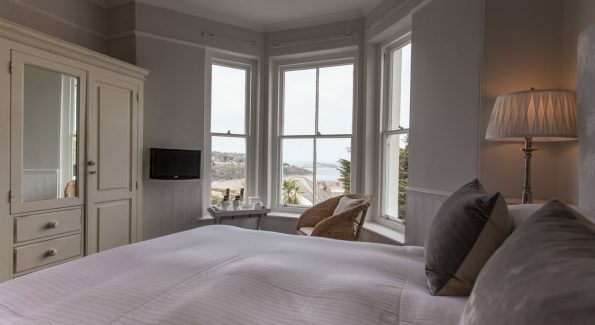 Comfy Sea View king bed room with period ornamental fireplace, take in the spectacular views across the Bay to St. Ives and Godrevy Lighthouse, watch the waves on the beach below from your window seat. 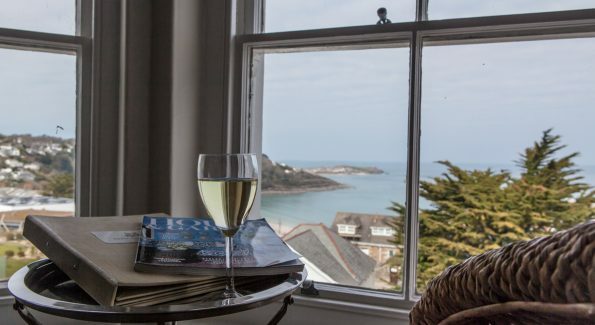 Comfy sea view king bed, Porthmeor has spectacular sea views across the bay to St Ives and Godrevy Lighthouse. 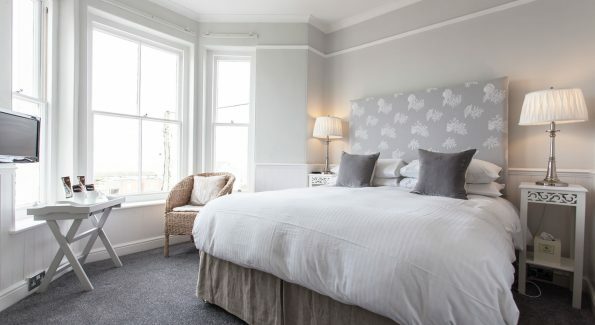 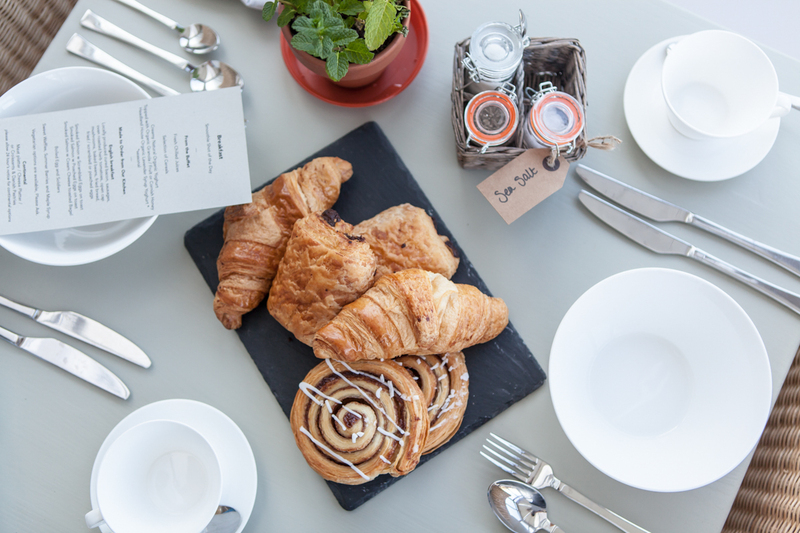 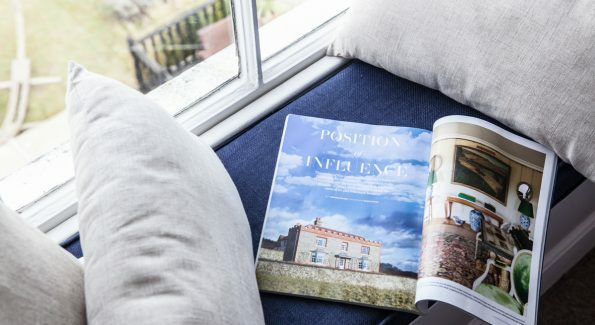 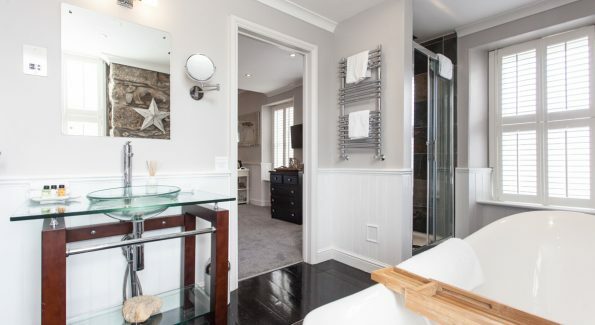 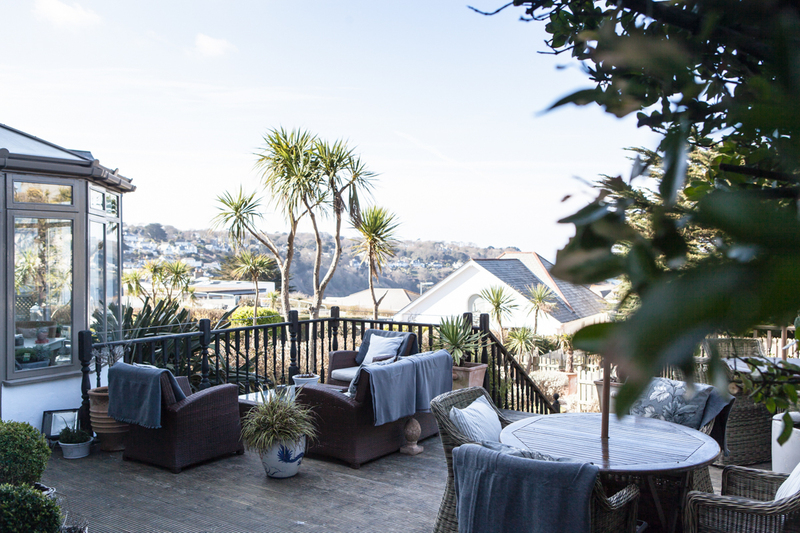 Second floor, Porthminster is a spacious double room with king size bed. 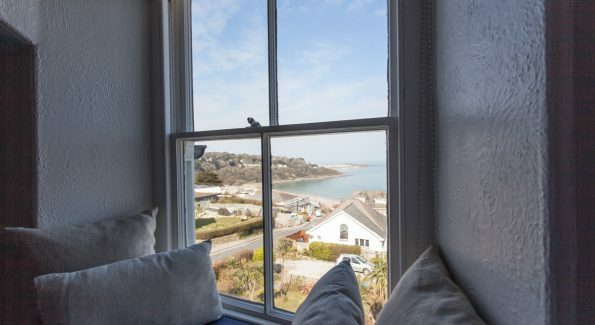 Wake up to stunning panoramic sea views of St Ives, Carbis Bay and Godrevy Lighthouse. 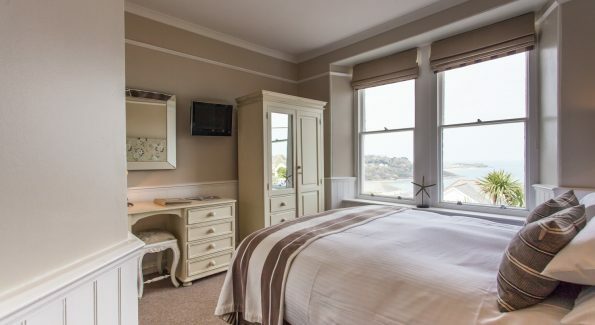 Comfy sea view king bed, Sennen has stunning views of the bay across to St Ives and Godrevy Lighthouse.